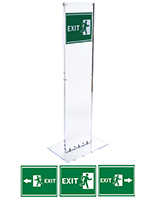 This indoor acrylic floor sign totem display is suitable for a variety of industries. 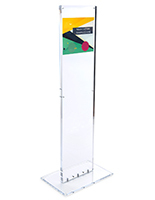 Included between the clear upright panels is a poster plate measuring 11.6875” x 46.6875”. 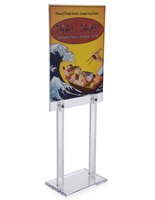 Format custom designs for the double-sided floor sign totem display. 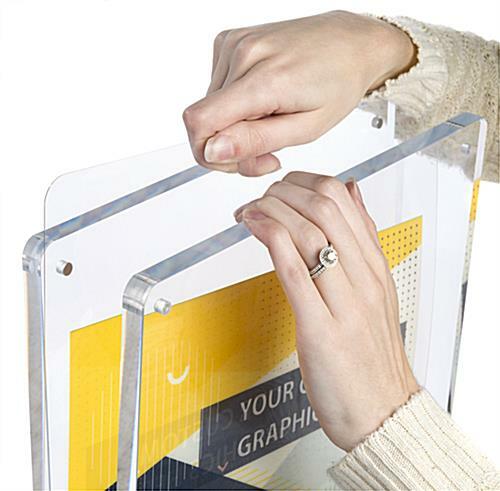 Magnetic button closures secure the promotional poster within the frame stand. 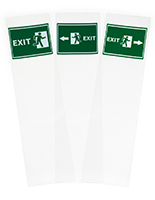 The blank plate provides a large format field for advertising or wayfinding signage. 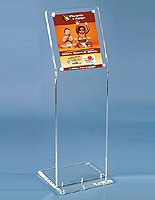 With a solid base and sturdy uprights each frame stand withstands heavy foot traffic with ease. 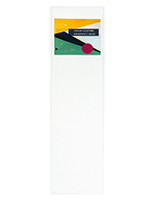 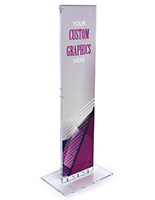 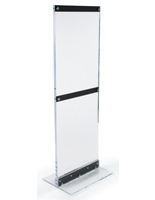 Use the totem display for impactful marketing for your business! 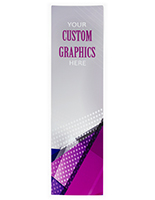 18.0" x 48.4" x 11.8"
18.0" x 0.75" x 11.8"